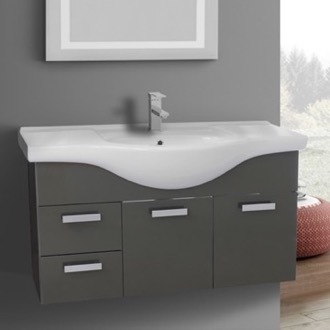 Shop our selection of wall mounted bathroom vanities and get FREE shipping on all orders over $99! 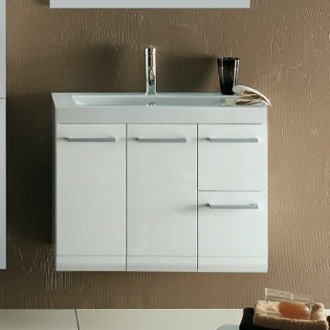 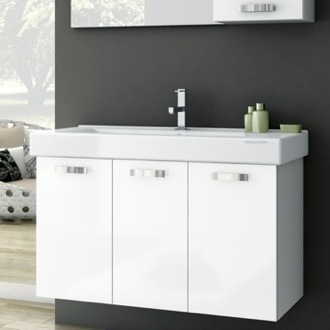 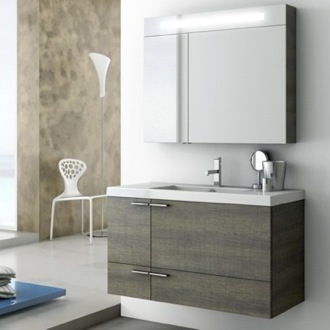 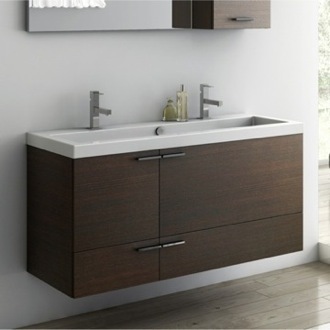 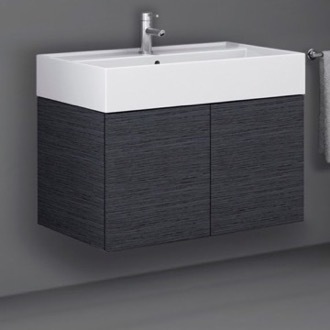 Wall mounted bathroom vanities give your bathroom a modern look, while creating the illusion of a bigger space. 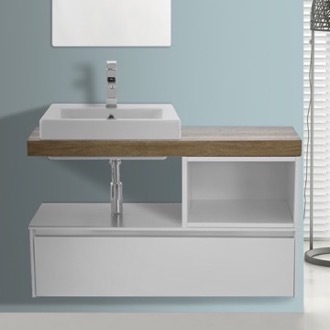 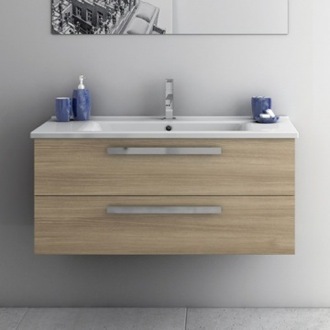 A floating bathroom vanity allows you to store additional items underneath, via baskets or tubs. 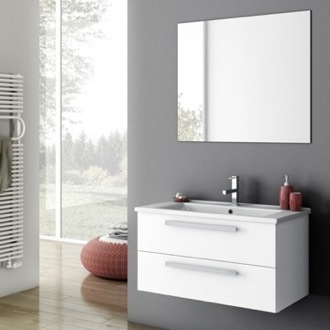 If you're investing in radiant heated floors, a wall mounted bathroom vanity also makes your feet stay extra toasty. 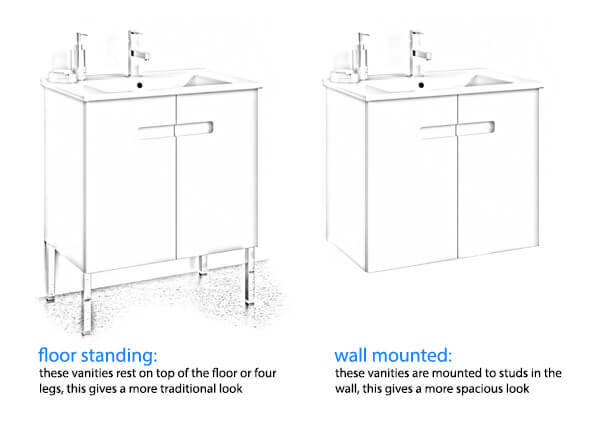 Plus, wall mounted vanities put you in control of the sink height, allowing you to adjust for shorter or taller than average people. 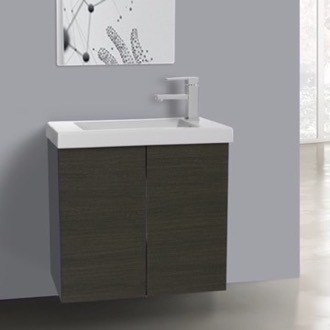 Best of all, floating bathroom vanities put the spotlight on other design features, like tilework or a showstopping tub or shower. More shopping tips Wall mounted bathroom vanities are becoming more common in residential bathrooms every year. 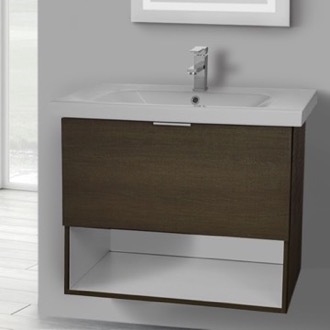 What started as a trend has exploded into a bathroom furnishing category that seems to never end. 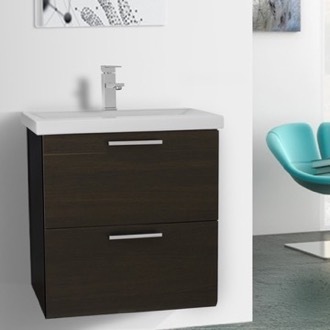 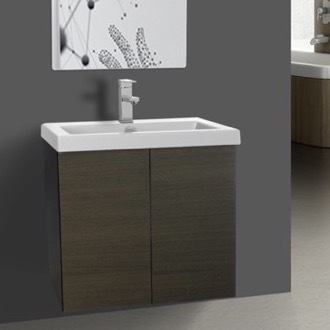 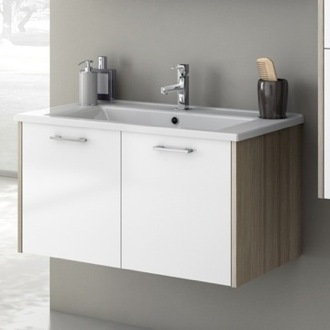 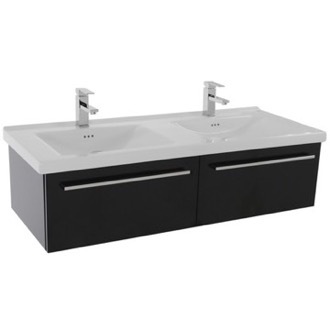 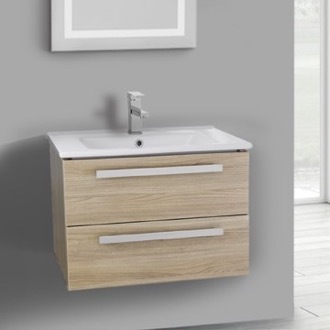 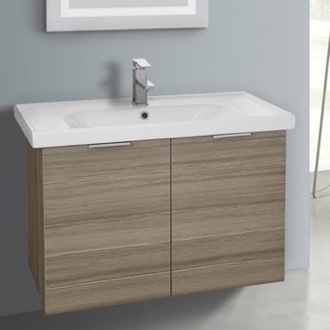 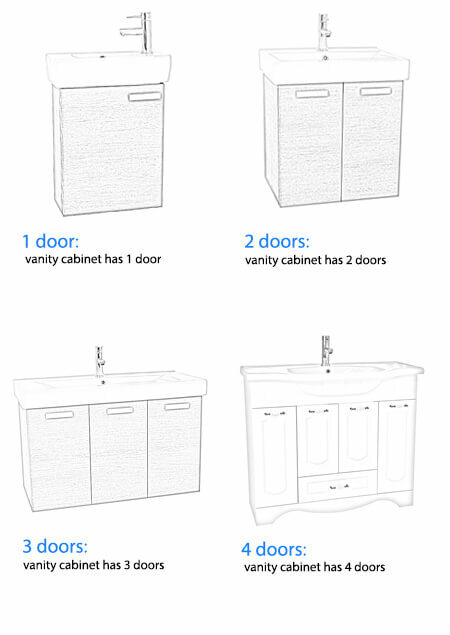 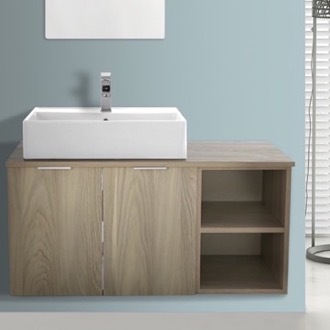 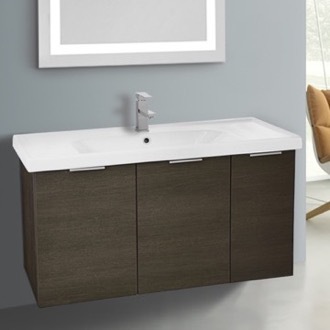 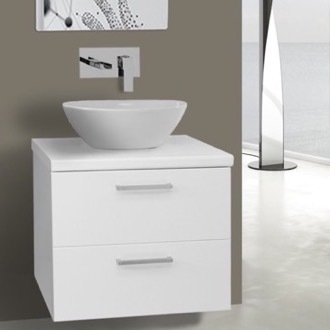 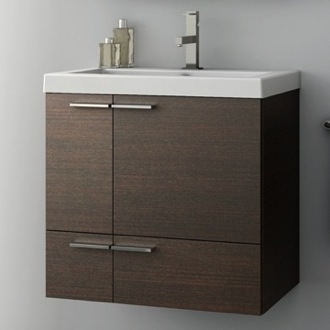 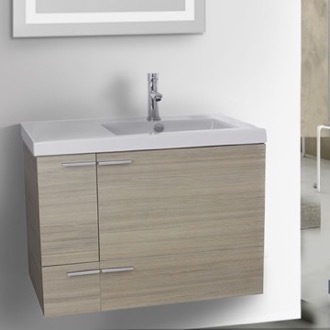 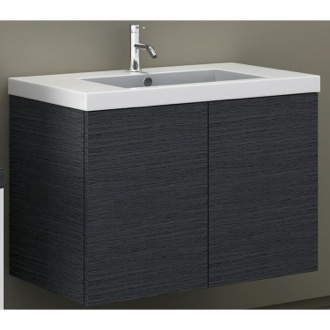 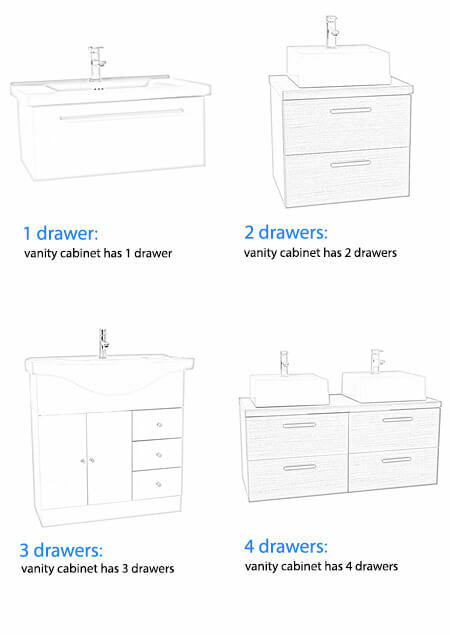 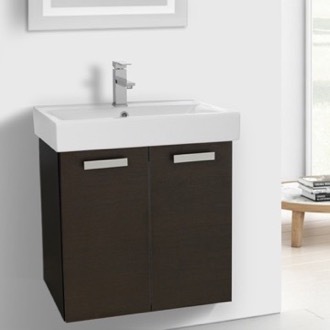 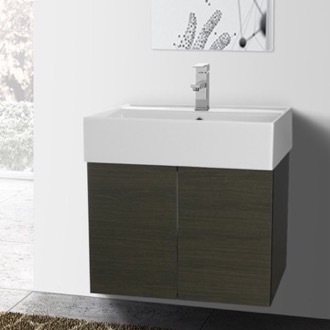 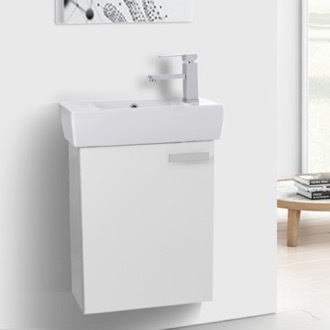 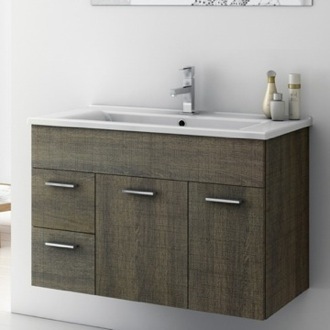 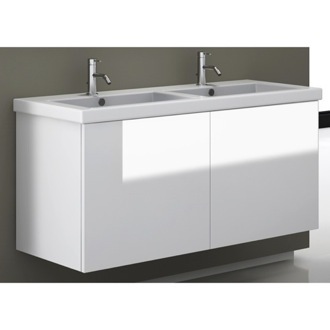 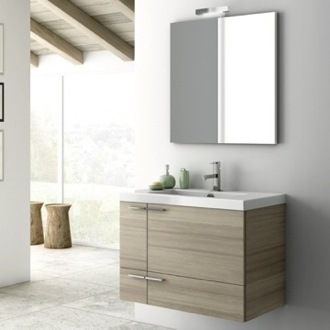 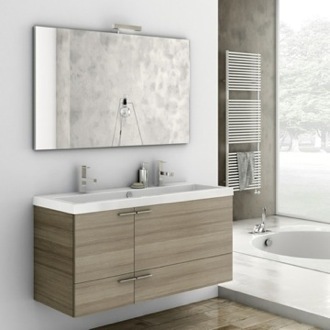 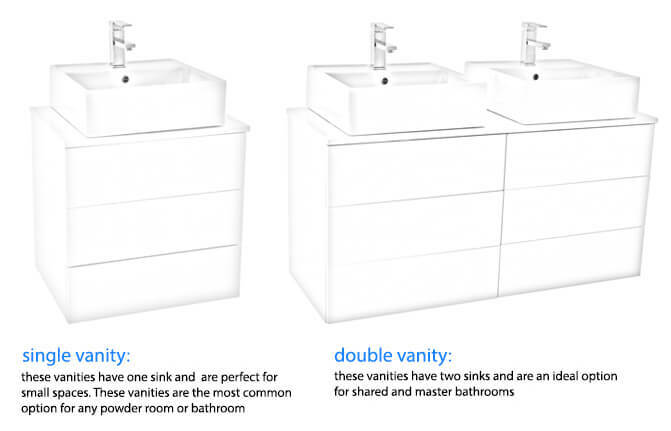 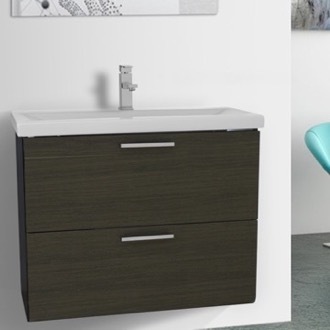 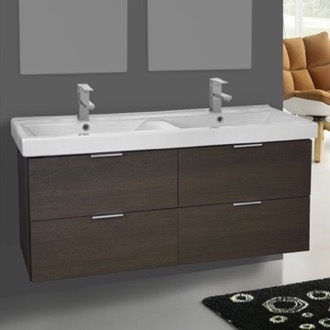 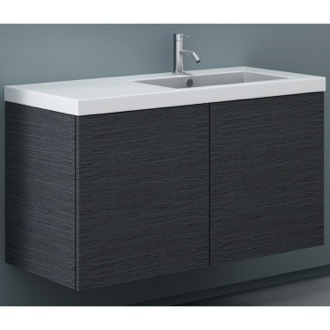 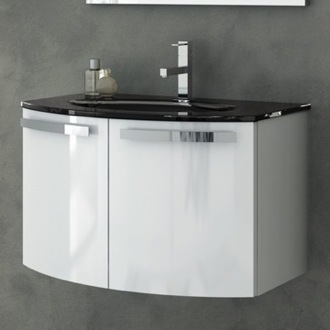 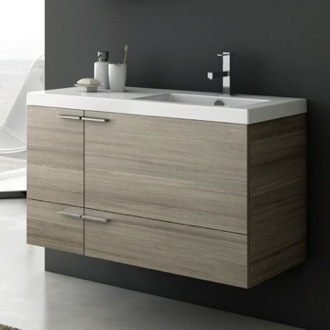 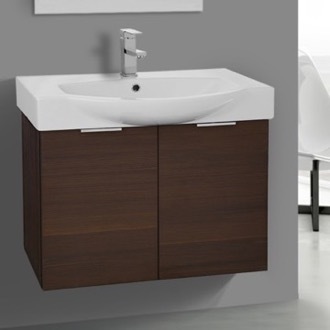 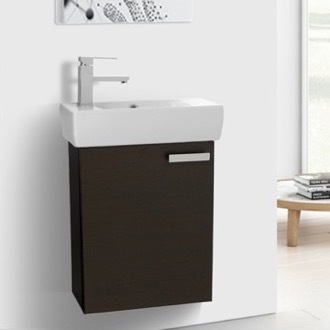 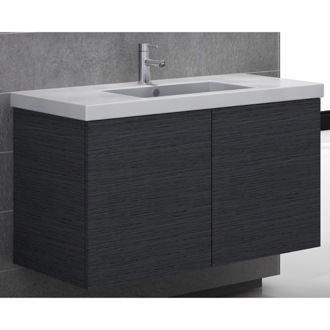 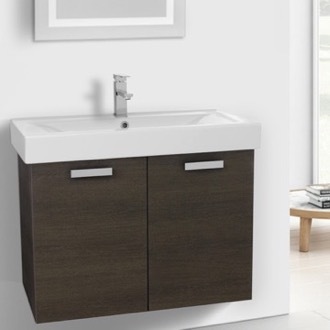 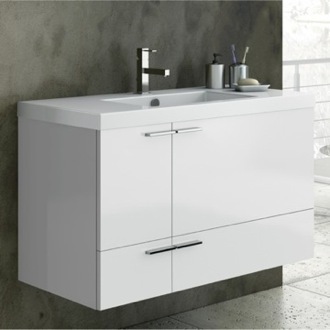 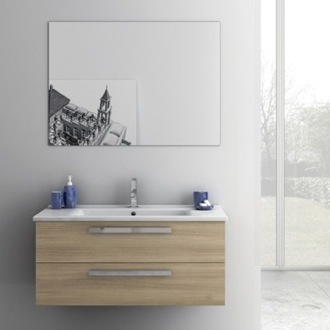 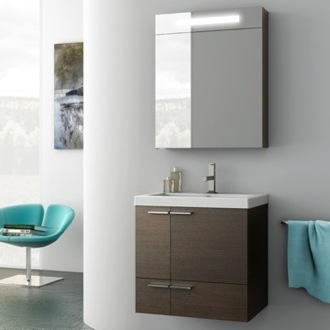 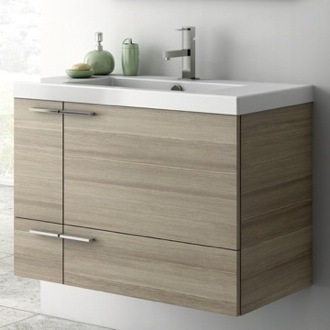 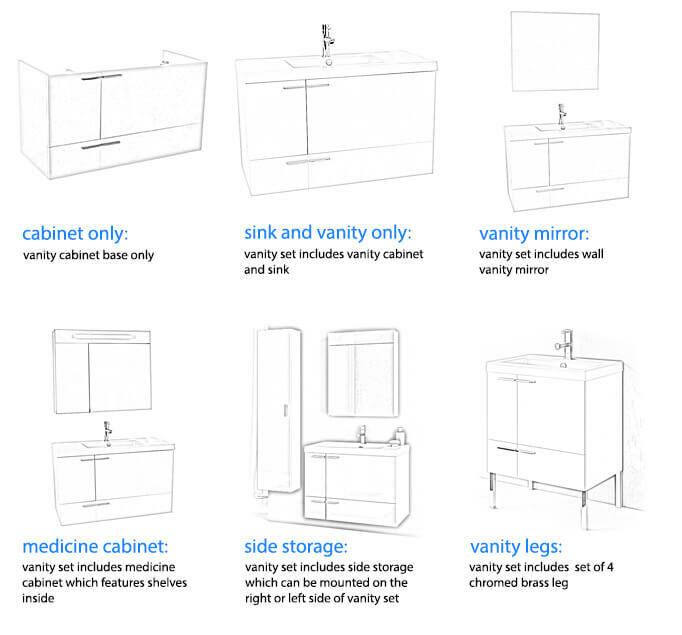 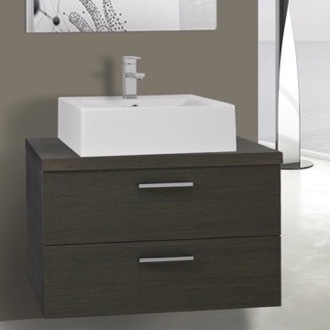 We're proud to offer our own never ending selection of wall mounted bathroom vanities for you to choose from. 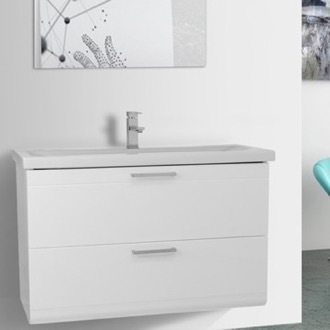 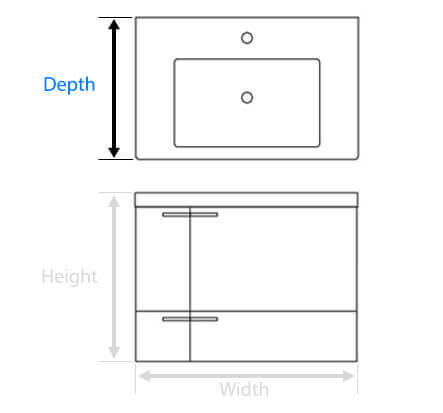 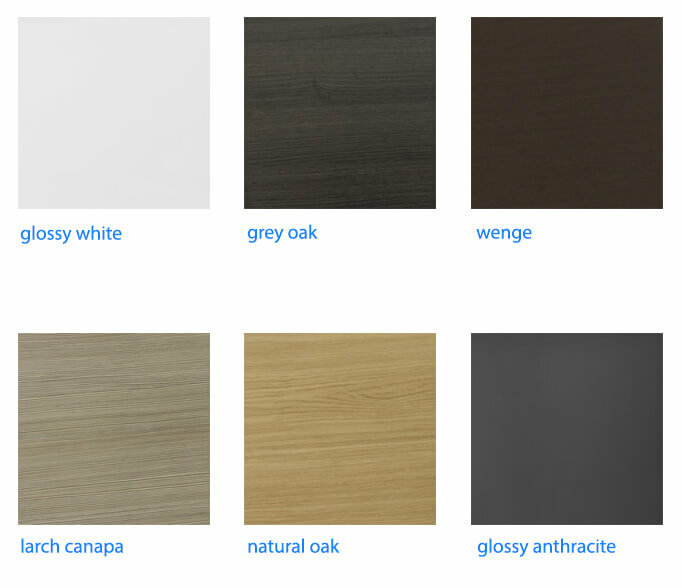 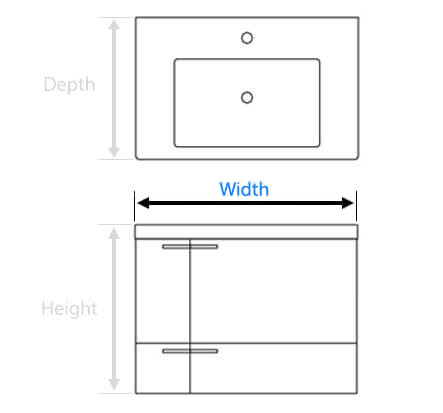 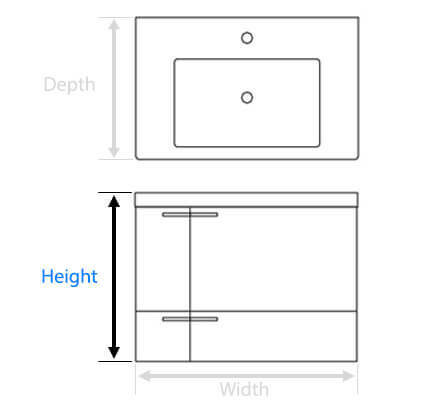 We offer wall mounted vanities in a variety of lengths, allowing you to choose one that fits appropriately without having to pay extra for a custom cabinet. 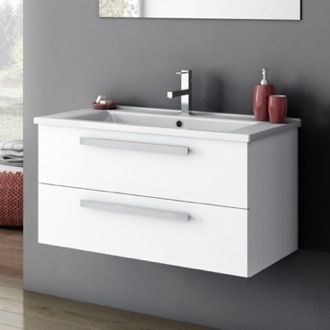 Wall mounted vanities give the illusion of added space in smaller bathrooms. 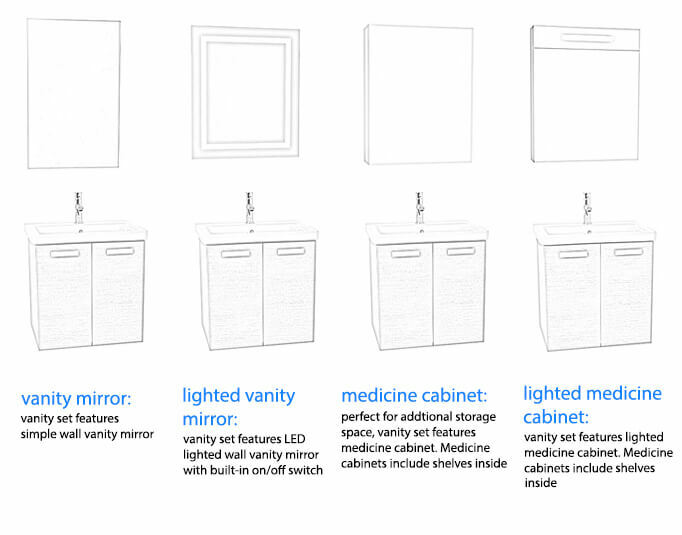 They also allow for additional storage that's not confined by cabinet space. 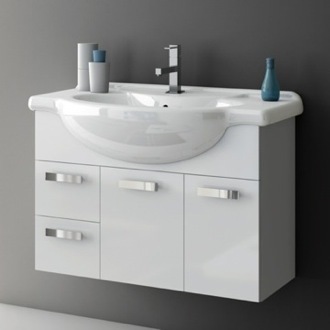 With less surface area to clean, bathroom maintenance becomes easier with wall mounted bathroom vanities. 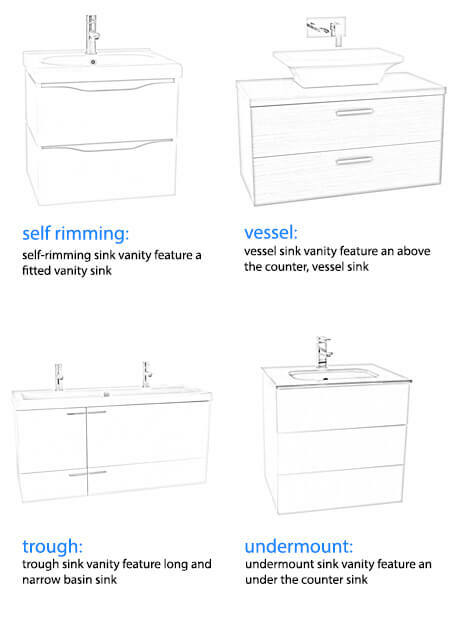 Installation can be a bit more involved but the visual and functional improvement of your bathroom is worth the added effort.